Beneficiary designations are one of those issues that many people forget about after they have had a significant life change. Plus, if they do consider the issue, they are likely to view it as inconsequential; after all, won’t the rest of your estate plan make up for the failure to change your beneficiary on your life insurance policy? The reality is, however, that beneficiary designations are supposed to work in conjunction with and complement your estate plan. If you want your estate plan to be truly effective, then your beneficiary designations must match up with your estate plan. You will find beneficiary designations on many different types of assets, including life insurance policies, accidental death policies, retirement accounts, IRAs, 401(k) plans, and other investment accounts. Essentially, a beneficiary designation tells who should get your asset if you pass way. Beneficiary designations can be helpful in that they allow assets to transfer to another individual or individuals without having to go through the probate process. The danger is that if you forget to change the beneficiary designations on these assets over time, then you will end up having your assets distributed in a manner that you did not intend. The classic example of failing to change beneficiary designations is when you divorce and fail to remove your ex-spouse as your beneficiary on your life insurance policy. Then you pass away, and the insurance company rightfully pays out the proceeds to your ex-spouse, instead of to your children, or your parents, or to whomever you assumed would get the funds. Despite what the rest of your estate plan and even your divorce decree states as your intentions, there may be no way to prevent your ex-spouse from getting those funds. You can change a beneficiary designation at any time prior to your death, even if there has been no major life event to cause the change. You are the owner of the asset, and, as such, you are allowed to change your mind about whom you choose as beneficiary of a particular asset. 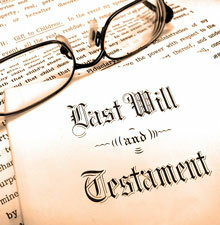 As circumstances in your life change, so must your beneficiary designations if you want your wishes to be carried out. 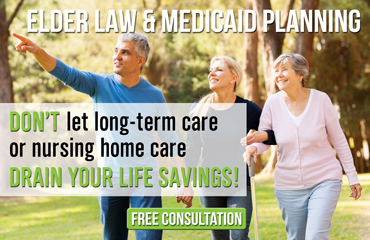 Call Law Offices of The Elder Law Firm PC today at (608) 268-0268, or contact us online at www.michiganelderlaw.com in order to set up an appointment with one of our Michigan estate planning attorneys, and see what we can do for you.